"Santa Tell Me" is a Christmas song recorded by American singer Ariana Grande. 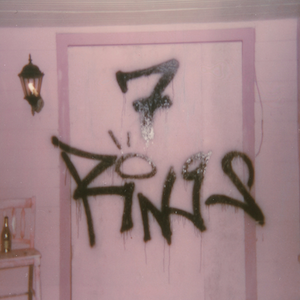 It was written by Grande, Ilya Salmanzadeh and Savan Kotecha. 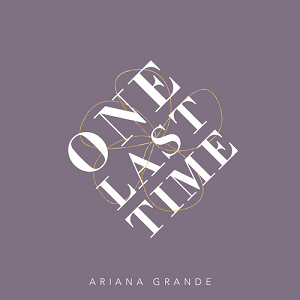 The song was released worldwide on November 24, 2014, via iTunes, and was included on the Japanese exclusive reissue of Grande's EP Christmas Kisses . Musically, "Santa Tell Me" is a Christmas song with R&B influences. Chris Marrs Piliero is an American actor, writer, producer, and director of short films and music videos. Ariana released her first Christmas EP titled Christmas Kisses on December 17, 2013. The extended play had a total of 4 songs, and included covers of classics, such as "Santa Baby" and Wham! 's "Last Christmas". It also contained two original songs: "Love Is Everything" and "Snow in California". "Santa Baby" is a 1953 Christmas song written by Joan Javits and Philip Springer, sung originally by Eartha Kitt. The song is a tongue-in-cheek look at a Christmas list addressed to Santa Claus by a woman who wants extravagant gifts such as sables, yachts, and decorations from Tiffany's. "Santa Tell Me" was first mentioned by Ariana Grande on Tuesday, October 28 in a livestream through Twitcam. In the livestream, she said that she didn't want to do a Christmas song at first, but she changed her mind. Ariana also announced that a music video would accompany "Santa Tell Me", and that this song was her favorite Christmas song out of all of the ones she had recorded so far. 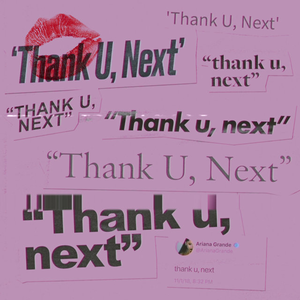 A 20-second sample of "Santa Tell Me" by Ariana Grande, where the chorus is heard. In the United States, "Santa Tell Me" officially debuted on the US Billboard Hot 100 chart dated December 13, 2014 at number 65, and has since reached a peaked at number 42. The song also peaked at number seven on Billboard Adult Contemporary chart for the chart dated December 27, 2014. In Canada, "Santa Tell Me" debuted on the Canadian Hot 100 at number 73 and in 2019 it has reached a peak of number 18. As of 2015, the song sold over 120,000 copies in the United States. In the United Kingdom, "Santa Tell Me" debuted on the UK Singles Chart at number 79 for the week dated December 6, 2014, and originally peaked at number 68 three weeks later. In 2015, it failed to re-enter the charts, however in 2016, the song reached number 90. In 2017, it was among many other songs such as "Driving Home for Christmas" and "Step into Christmas" reaching new peaks in the UK, re-entering the chart at number 60, and climbing an even higher position of number 29 the following week. It eventually reached its peak of number 13 on the issue dated 28 December 2018. "Last Christmas" is a song by English pop duo Wham!, released on Epic Records in December 1984, on a double A-side with "Everything She Wants". It was written and produced by George Michael, and has been covered by many artists since its original release. "It's Beginning to Look a Lot Like Christmas" is a Christmas song written in 1951 by Meredith Willson. The song was originally titled "It's Beginning to Look Like Christmas". The song has been recorded by many artists, but was a hit for Perry Como and The Fontane Sisters with Mitchell Ayres & His Orchestra on September 18, 1951, and released on RCA Victor as 47-4314 and 20-4314. Bing Crosby recorded a version on October 1, 1951, which was also widely played. "It's the Most Wonderful Time of the Year" is a popular Christmas song written in triple time in 1963 by Edward Pola and George Wyle. It was recorded and released that year by pop singer Andy Williams for his first Christmas album, The Andy Williams Christmas Album. However, the song was not released as a promotional single by Williams' record label that year, as they instead opted to promote his cover of "White Christmas" as the official promo single from the album. ↑ Jacques Peterson. "Ariana Grande Announces New Christmas Single 'Santa Tell Me'". popdust.com. Retrieved November 13, 2014. 1 2 "Santa Tell Me - Ariana Grande - Vevo". Vevo. Retrieved April 10, 2016. 1 2 3 "Ariana Grande, Big Sean Hold Hands in Romantic Grammy Christmas Performance: Photos". Us Weekly . November 19, 2014. Retrieved November 21, 2014. ↑ "Christmas Kisses – EP by Ariana Grande". iTunes Store . Apple. ↑ Hyndman, Jessica (October 28, 2014). 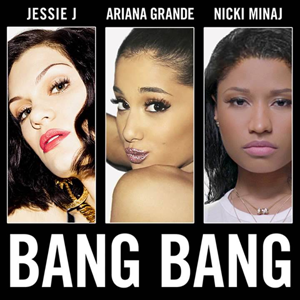 "Is Ariana Grande Behind That Secret 'Hunger Games' Soundtrack Song?". MTV. ↑ "News: New Christmas Single "Santa Tell Me" + Cover Art + Michael Buble Christmas Special!". Republic Records. November 21, 2014. Archived from the original on November 22, 2014. Retrieved December 5, 2014. ↑ Grace, Bianca (November 21, 2014). "Ariana Grande Teases "Santa Tell Me": Listen To The Holiday Snippet". Idolator . Retrieved December 5, 2014. ↑ "#SantaTellMeTonight". Twitter. November 23, 2014. Retrieved December 5, 2014. ↑ "Santa Tell Me – Single by Ariana Grande". iTunes Store . Apple . Retrieved November 24, 2014. ↑ "Ariana Grande: 'Santa Tell Me' Single Review". FDRMX. December 1, 2014. Retrieved December 5, 2014. ↑ Mansfield, Brian (December 1, 2014). "Song of the week: Ariana Grande's 'Santa Tell Me'". USA Today . Retrieved December 5, 2014. 1 2 "Ariana Grande Chart History (Hot 100)". Billboard. Retrieved December 5, 2014. ↑ "Ariana Grande – Chart history: Billboard Canadian Hot 100". Billboard . December 13, 2014. ↑ Ishler, Julianne (December 13, 2014). "Ariana Grande Releases Adorable 'Santa Tell Me' Music Video". Hollywood Life. ↑ "Side To Side - Ariana Grande - Vevo". Vevo. November 26, 2016. Retrieved November 27, 2016. ↑ Emilee, Lindner (November 19, 2014). "Ariana Grande And Big Sean Look Romantic As Ever Holding Hands, Singing To Each Other". MTV. ↑ Trust, Gary (December 13, 2014). "Z100's Jingle Ball 2014 Highlights: Taylor Swift, 5 Seconds of Summer, Sam Smith & More". Billboard. ↑ Roncance, Kelly (December 12, 2014). "Q102 Jingle Ball: Iggy Azalea, Ariana Grande, Nick Jonas and more 'sleigh' annual concert event". Nj.com. ↑ Warner, Denise. "Watch Ariana Grande Perform 'Santa Tell Me' at Disney Parks 'Frozen' Christmas Celebration". Billboard. Retrieved December 26, 2014. ↑ "Australian-charts.com – Ariana Grande – Santa Tell Me". ARIA Top 50 Singles. Retrieved December 29, 2018. ↑ "Austriancharts.at – Ariana Grande – Santa Tell Me" (in German). Ö3 Austria Top 40. Retrieved January 3, 2019. ↑ "Ultratop.be – Ariana Grande – Santa Tell Me" (in Dutch). Ultratop 50. Retrieved December 5, 2014. ↑ "Ultratop.be – Ariana Grande – Santa Tell Me" (in Dutch). Ultratop Urban. Retrieved December 5, 2014. ↑ "Ultratop.be – Ariana Grande – Santa Tell Me" (in French). Ultratip. Retrieved December 5, 2014. ↑ "Ariana Grande Chart History (Canadian Hot 100)". Billboard. Retrieved January 1, 2019. ↑ "Ariana Grande Chart History (Canada AC)". Billboard. Retrieved January 9, 2016. ↑ "Ariana Grande Chart History (Canada Hot AC)". Billboard. Retrieved January 9, 2016. ↑ "ČNS IFPI" (in Czech). Hitparáda – Digital Top 100 Oficiální. IFPI Czech Republic. Note: Change the chart to CZ – SINGLES DIGITAL – TOP 100 and insert 201851,52 into search. Retrieved January 4, 2019. ↑ "Danishcharts.com – Ariana Grande – Santa Tell Me". Tracklisten. Retrieved December 5, 2018. ↑ "Ariana Grande: Santa Tell Me" (in Finnish). Musiikkituottajat – IFPI Finland. Retrieved December 30, 2018. ↑ "Lescharts.com – Ariana Grande – Santa Tell Me" (in French). Les classement single. Retrieved December 19, 2014. ↑ "Offiziellecharts.de – Ariana Grande – Santa Tell Me". GfK Entertainment Charts. Retrieved December 28, 2018. ↑ "Archívum – Slágerlisták – MAHASZ" (in Hungarian). Stream Top 40 slágerlista. Magyar Hanglemezkiadók Szövetsége. Retrieved December 28, 2018. ↑ "Irish-charts.com – Discography Ariana Grande". Irish Singles Chart. Retrieved December 29, 2018. ↑ "Italiancharts.com – Ariana Grande – Santa Tell Me". Top Digital Download. Retrieved December 29, 2018. ↑ "Ariana Grande Chart History (Japan Hot 100)". Billboard. Retrieved January 17, 2014. ↑ "Nederlandse Top 40 – Ariana Grande" (in Dutch). Dutch Top 40. Retrieved December 5, 2014. ↑ "Dutchcharts.nl – Ariana Grande – Santa Tell Me" (in Dutch). Single Top 100. Retrieved December 5, 2014. ↑ "Charts.nz – Ariana Grande – Santa Tell Me". Top 40 Singles. Retrieved December 28, 2018. ↑ "Norwegiancharts.com – Ariana Grande – Santa Tell Me". VG-lista. Retrieved December 29, 2018. ↑ "Portuguesecharts.com – Ariana Grande – Santa Tell Me". AFP Top 100 Singles. Retrieved January 3, 2019. ↑ "Official Scottish Singles Sales Chart Top 100". Official Charts Company. Retrieved December 22, 2018. ↑ "Singapore Top 30 Digital Streaming Chart – Week 52" (PDF). Recording Industry Association (Singapore). Archived from the original (PDF) on January 3, 2019. ↑ "ČNS IFPI" (in Slovak). Hitparáda – Radio Top 100 Oficiálna. IFPI Czech Republic. Note: insert 201851,52 into search. Retrieved January 4, 2019. ↑ "ČNS IFPI" (in Slovak). Hitparáda – Singles Digital Top 100 Oficiálna. IFPI Czech Republic. Note: Select SINGLES DIGITAL - TOP 100 and insert 201851,52 into search. Retrieved January 4, 2019. ↑ "Gaon Digital Chart – Issue date: 2017.12.10 – 2017.12.16". Gaon Chart . Retrieved December 25, 2017. ↑ "Gaon Digital Chart – Issue date: 2016.12.04 – 2016.12.10". Gaon Chart . Retrieved February 16, 2017. ↑ "Spanishcharts.com – Ariana Grande – Santa Tell Me" Canciones Top 50. Retrieved January 4, 2019. ↑ "Swedishcharts.com – Ariana Grande – Santa Tell Me". Singles Top 100. Retrieved December 7, 2018. ↑ "Swisscharts.com – Ariana Grande – Santa Tell Me". Swiss Singles Chart. Retrieved December 31, 2018. ↑ "Official Singles Chart Top 100". Official Charts Company. Retrieved December 29, 2018. ↑ "Ariana Grande Chart History (Adult Contemporary)". Billboard. Retrieved December 11, 2014. ↑ "Ariana Grande Chart History (Adult Pop Songs)". Billboard. Retrieved December 11, 2014. ↑ "Ariana Grande Chart History (Holiday 100)". Billboard . Retrieved September 29, 2018. ↑ "2015년 Digital Chart (International)" (in Korean). Gaon . Retrieved September 14, 2017. ↑ "2016년 Digital Chart (International)" (in Korean). Gaon. Retrieved September 14, 2017. ↑ "2017년 Digital Chart (International)" (in Korean). Gaon. Retrieved May 4, 2018. ↑ "2018년 Digital Chart (International)" (in Korean). Gaon. Retrieved January 7, 2019. ↑ "Italian single certifications – Ariana Grande – Santa Tell Me" (in Italian). Federazione Industria Musicale Italiana . Retrieved December 10, 2018. Select "2018" in the "Anno" drop-down menu. Select "Santa Tell Me" in the "Filtra" field. Select "Singoli online" under "Sezione". ↑ "New Zealand single certifications – Ariana Grande – Santa Tell Me". Recorded Music NZ . Retrieved December 28, 2018. 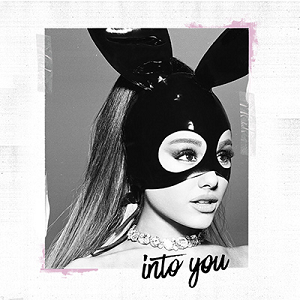 ↑ "British single certifications – Ariana Grande – Santa Tell Me". British Phonographic Industry . Retrieved January 12, 2019. Select singles in the Format field. Select Gold in the Certification field. Type Santa Tell Me in the "Search BPI Awards" field and then press Enter.